Mladá Boleslav, 12 August 2015 – The ŠKODA health insurance company ‘ZPŠ’ is awarded ‘Best Health Insurance 2015’ in the Czech Republic. This is the result of a recent survey carried out by the HealthCare Institute in association with the agency Ipsos. 156 hospital managers in the Czech Republic took part. All seven insurance companies in the Czech Republic were evaluated. 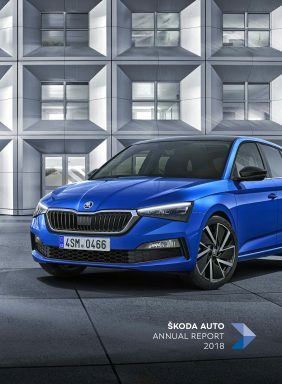 Scoring a 2.1, ŠKODA’s health insurance came out on top. The survey, conducted by the Healthcare Institute in cooperation with the agency Ipsos, ran between April and May 2015. 156 Czech hospital managers voiced their opinions on 15 criteria. The questionnaire included questions on the quality of the cooperation with the health insurance company, the transparency of communication, the quality of electronic communications, the professionalism of the medical examiners and the health insurance companies’ internet portals. As the largest industrial employer in the Czech Republic, ŠKODA takes responsibility for their employees in close consultation with several social partners. The employees’ health is a top priority for the company. This commitment goes far beyond the legal requirements, and is part of ŠKODA’s comprehensive social policy. Working closely with the ŠKODA health insurance company and the joint development of health programmes play an important role. Employees’ health and safety stands at the centre of ŠKODA’s HR work. In close collaboration with the KOVO MB trade union, the company regularly organises health programmes. The ŠKODA health insurance company also participates in the planning and implementation of these programmes. ‘ZPŠ’ members can also take advantage of special benefits. One example is flu vaccines, which are free for ZPŠ members. ŠKODA employees can enjoy, among other benefits, treatment programmes at selected health facilities, with whom ŠKODA has concluded the relevant framework contracts. In addition, ŠKODA has introduced voluntary health prevention programmes that have been integrated in the ‘ŠKODA Check-up’ since 2008. These support employees with regard to healthy eating, weight reduction, exercise, addiction prevention and a generally healthier lifestyle. On average 13,000 ŠKODA employees undergo a medical examination as part of the ŠKODA check-up every year. The ŠKODA health insurance company, founded in 1992, operates at seven locations in the Czech Republic with their headquarters in Mladá Boleslav. Out of 24,600 ŠKODA employees in the Czech Republic, almost 17,000 employees are insured on ŠKODA health insurance. Even people not employed by ŠKODA, can insure themselves through ZPŠ. The ŠKODA health insurance company serves 140,000 members nationwide.